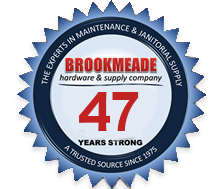 Brookmeade Hardware & Supply is always on the lookout for experienced professionals in Middle Tennessee with industry experience to join our growing team. We offer a competitive compensation package and healthy working atmosphere. If you’re interested in joining the Brookmeade team, please send us your cover letter and résumé by completing the online form below.